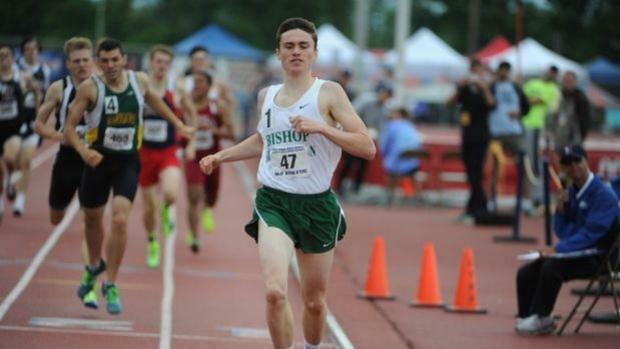 Josh Hoey is now a professional runner, and that is a very big deal. This week he signed with adidas, inked with an an agent after graduating high school, and found a training group--all of this was first reported by MileSplit, by the way. Those are the three big steps in joining the big leagues of professional running, and the Pennsylvania native has achieved all of them at the tender age of 18. Is it a good move? It's the natural question--and the one everyone is asking. And no doubt, it's a fair point to ask, if only because the high school-to-pros career track is often difficult to judge--Hoey, himself, struggled when entered in professional outdoor races in 2018. There are several case studies, and not all of them have been wildly successful. Every scenario is different, and every career is determined not so much by the athlete but by the surroundings in which they put themselves in. Right environment, right coach, right plan. But here's the quick answer: Hell yes, it's a good move. For numbers sake, he was the 56th fastest American outdoors at the distance in 2018 and the 17th fastest indoors. We don't know the details of the contract just yet--length, monetary value, signing bonus--but let's just assume that Hoey, as an 18-year-old, has made it clear that if this running thing doesn't work out, he's still getting college paid for by adidas. That doesn't seem like a crazy request. He was headed to Oregon on partial ride. What's crazy is all the criticism that's been thrown his way in a short time (don't go on message boards, kids) , mostly stemming around the fact that he hasn't broken 1:47 in the 800m. Seriously? There's no denying that Hoey's times in 2018 wouldn't have put him in the conversation for an NCAA title, but did Donovan Brazier's or Isaiah Harris' times stack up out of high school in 2015? Of course not. Harris dropped 3 seconds year-over-year from his senior year of high school in Maine to his freshman season at Penn State, posting a 1:45.95. Brazier cut exactly four seconds year-over-year over that same span, winning an NCAA title in 1:43.55 in 2016. Both Harris and Brazier were in prime environments. Brazier turned pro almost as quickly as he ran his 1:43. Harris turned pro after his junior season with Penn State. You could argue that Brazier built up his marketability by winning an NCAA title, but was it worth in dollars the year he gave up not going pro? When baseball players are drafted out of high school and signed to million dollars deal that may or may not pay off, do they not work their way up to the majors in the minor leagues? 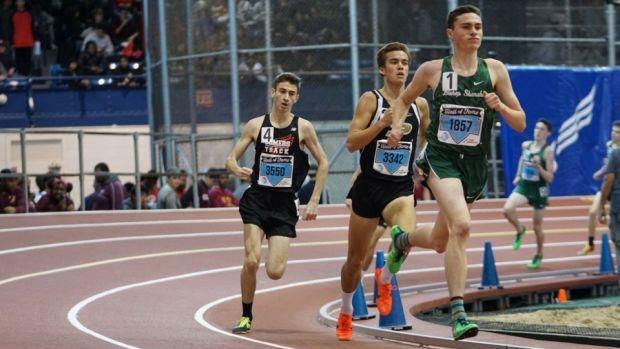 It's true, Hoey can't run a 1:43 or 1:44 in the 800m at this point in his career. He probably can't break 4 minutes in the mile just yet, or run 3:40-3:45 in the 1500m at this juncture, either. But adidas isn't signing him for what he can't do right now. They're investing in his future (duh)--and they obviously believe he has the merit to do it soon enough. Hoey ran 1:48 five separate times over the spring in the 800m and set an indoor national record in the event with a 1:47.67, making him the 56th fastest American in the event in 2018. He qualified for the U20 World Championships. He won a USA Junior Championships title. He ran 4:07.42 for the full mile by himself and probably is capable of going up to the 3K or 5K at some point later in his career, too. Will he be the best American in the 800m in 2019? Probably not. But neither was Drew Hunter the best American in the 1500m in his first year after signing with adidas. Hoey has an obvious gift and there is no doubt he has professional talent. So what's the real question here? Are we worried because he's too young and hasn't proven himself, or are we worried because of what we can't predict? If we look at this move not for what it is now, but rather what it could be in a few years, then that is literally all that matters. It's what his agent sees, it's what adidas sees, it's what his coach sees. Hoey will work with a coach who's training Olympians and aspiring Olympians, the one who's coached him independently since high school. People have argued that Hoey will miss out on the college experience. He'll literally be competing against some of the best distance runners in the country and will be studying his craft full-time. You want him to make friends? He'll be fine. Not only will he work toward hitting times that rival the best in the country, but he'll learn tactics and be forced to hang with guys in every single race he's in--not just at conference championships, or at the NCAA Championships. Oh, he'll lose. But Hoey is also from the Philadelphia area, and that city has been known to build tough characters. Here's the thing. There are stories of runners who were great early, earned coveted national titles, set records, and then raced OK in college. Those runners never went pro. Do you think they regret it? Hoey is taking a risk, sure. But it's all on him, and it's up to him to make good on it. You're never going to predict success in distance running. Rarely do things perfectly line up. But don't mistake it. This can be a good move. This is a long-term project that can turnover pretty quickly. The vital question for any athlete competing in a sport where time is of the utmost importance is this: Why give away vital real estate (age)? I'm not advocating that every high school athlete turn pro the moment they run a professional-level time. The country currently has a few athletes capable of at least debating their own career paths in the near future. Turning pro isn't the right decision for everyone. But let's be real: Hoey has professional talent, and there's no doubt he wants this opportunity. Plus, his ceiling is probably higher than you think.